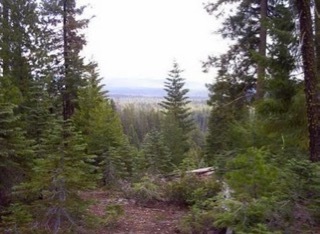 THPBlog: Sierra Pacific Industries to clearcut log SW of Chester, CA and Lake Almanor. Sierra Pacific Industries to clearcut log SW of Chester, CA and Lake Almanor. This THP is along the southwestern edge of Chester, CA and Lake Almanor at an elevation of 4,640 to 6,080 feet. Sierra Pacific Industries is planning a mostly clearcut tractor based logging operation in Ponderosa pine, Jeffrey pine, sugar pine, white fir, incense cedar and lodge pole pine forest. The THP area drains into Mud Lake, a seasonal wet meadow. SPI wants to be able to create so called "jump roads" under 500 feet without pre-flagging to connect units with haul roads. 15 road drainage sites are planned for work including rocking, dip construction, ditch cleaning, and culvert repair/replacement. There is 1 goshawk nest within .5 mi of the THP area in section 25, Four bald eagle territories near Lake Almanor in sections 2, 24, 31, and 32, and two osprey nests near Lake Almanor in sections 11 and 32. Historic wildlife sightings include; a cascade frog sighting near Chester in section 8, Sierra Nevada Yellow Legged Frog sightings south of the THP area near Chester in section 3, and historic Red Fox sightings in sections 2 and 18. There are 2 CA spotted owl nesting territories near the THP area, including a territory in section 9.